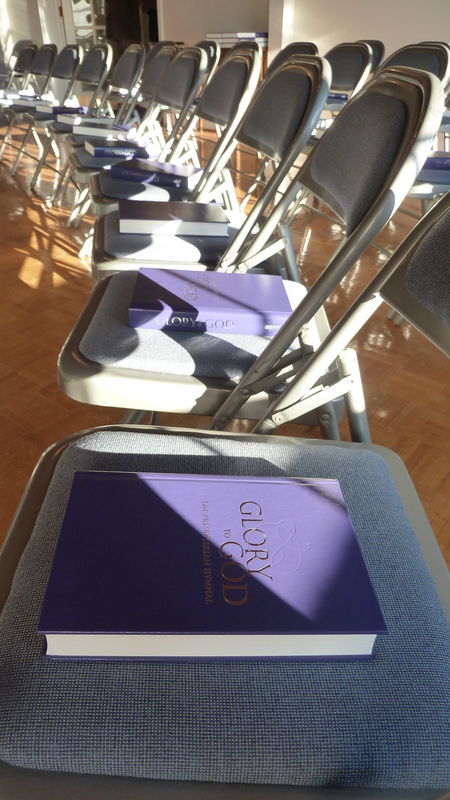 We dedicated the new Presbyterian hymnal at our church on Sunday. I remember dedicating buildings, pastors, Sunday school teachers and babies, but if I participated in a hymnal dedication before, I don’t really remember it. Glorious music from the new book filled the service: 15 songs or pieces of music in all—far beyond the staid old 3 hymns and a (choir) anthem of many services. At least 12 of our own sang solos, helped with special music or accompanied—all as various parts of the service, so it didn’t feel like a talent show or school music program. Even for a small congregation of about 115-125 on an average Sunday morning, we put out. Of course it helps that half the music department of James Madison University are members (another joined Sunday), and of course I exaggerate. Good music attracts those who like to sing, and we owe some of that to three tenor “Johns:” John Lyon (longtime head of the music department at JMU, now retired), John Held, children’s choir director who I’ve written about before here, and John Henderson, a songwriter, guitarist (pictured here) and faithful choir member. The lovely music tradition at Trinity is also because of our pastors: Ann Held has served the last 23 years and has put a welcome emphasis on music in the congregation, including chaperoning our youth to national “Music and Worship” conferences held at Montreat, N.C. 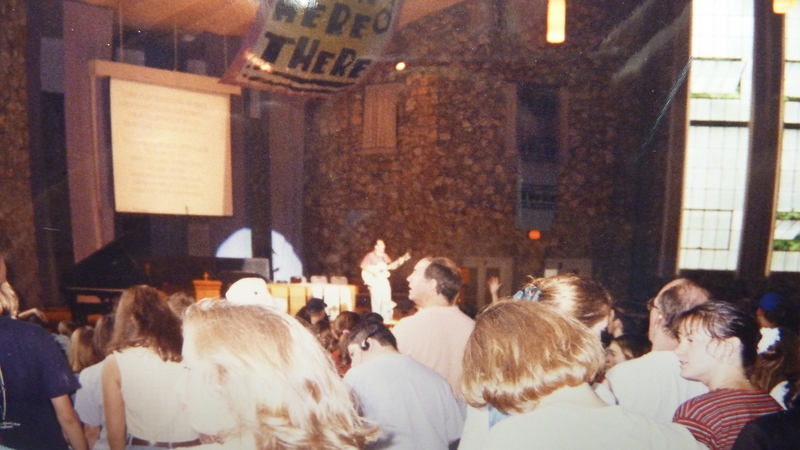 If you come away from music week at Montreat uninspired about the role of music in worshiping God, something’s wrong. I might also mention we do not have an organ. 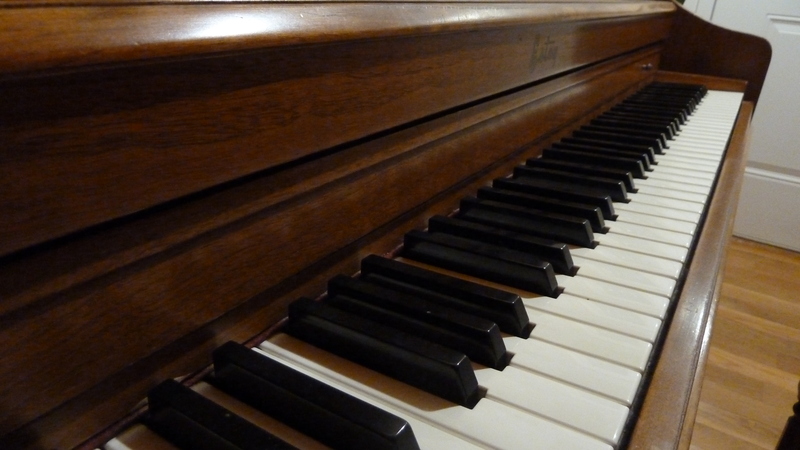 While I enjoy good, appropriately used organ, (like they use occasionally at Montreat) everyone knows it can kill congregational singing, so we stick with piano. 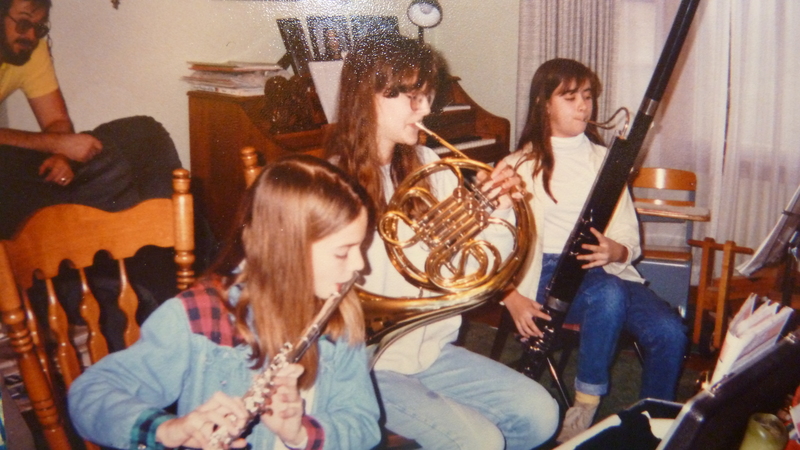 And some well-placed drums, occasional violin, flute, trumpet, or oboe, (whatever the youth of our congregation are good enough at to not embarrass their parents). 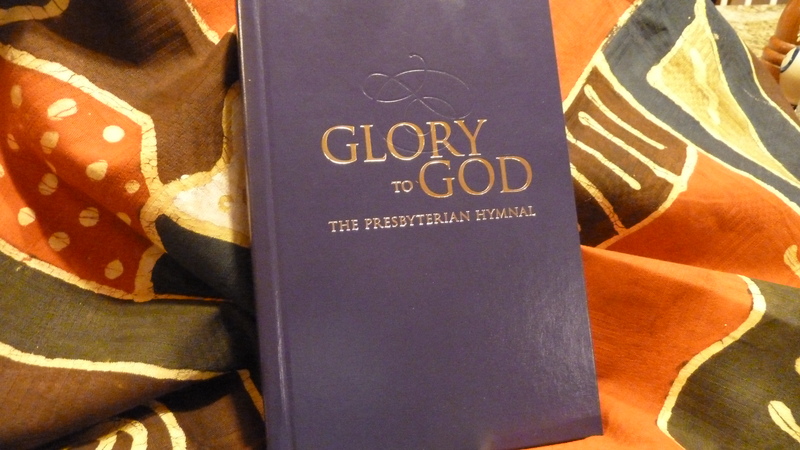 Back to the new Presbyterian hymnal, called Glory to God. Splendid name, instead of the obvious as used in prior rounds, Presbyterian Hymnal or Hymnal or Mennonite Hymnal or Church Hymnal —all collections which I either own or have used at various points in my life. At one point in the approximately 9 years it took to produce Glory to God, the hymnal committee opened the name choice up so anyone could vote online for suggested names, colors, design, type style and look. Glory to God seems to have hit all the right notes IMHO: bringing together many musical traditions and eras, yet with the goal of imparting the salvation history of the Christian faith, with inclusive language when it comes to talking about people, but appropriate theological language when it comes to talking about God and Jesus and Holy Spirit, even (gasp) daring to call the three Father, Son and Holy Spirit—along with other images used in the Bible as well: mother hen, female prophet. Here’s more about all that. We’re not afraid to use “Lord” anymore to refer to Jesus and God and the final verse of “Be Thou My Vision” summons the “High King of Heaven” once again. The Servant Song – what our pastor called the “theme song” for our church. And got to frequently sing, “Praise God From Whole All Blessings Flow” in the long long version (606 or 118, and you have to be a Mennonite to get the numbers) with Mary Oyer. If you don’t know what the long version of Praise God is, check here or Google “Youtube Mennonite 606” for numerous renditions. Now, working for the Mennonite publisher MennoMedia and knowing that the Mennonite church is also in need of a new song collection which is in the long range plan, I’m looking at this fantastic Presbyterian collection and thinking: wonder if we could just skip the long long selection process and expense and just adopt or copy this book? Or not. Of course not. A new Mennonite hymnal or song collection will be equally marvelous and theologically appropriate and all that jazz, but, still. For more on Glory to God and to puchase at $17.50 each through December 2013, go here. 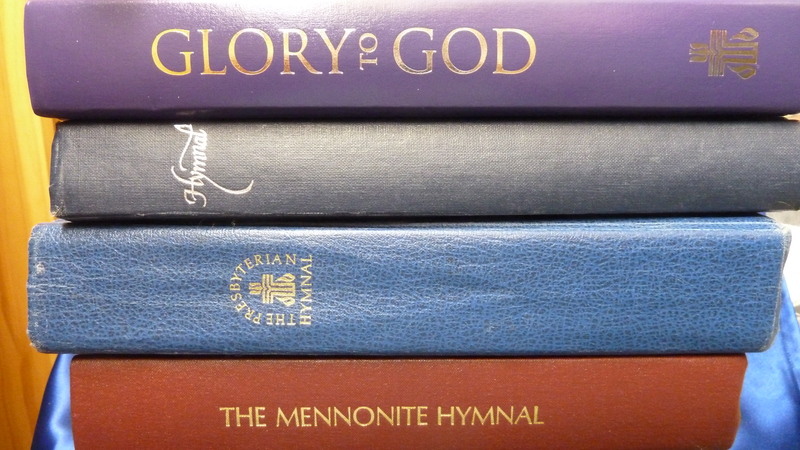 A whole collection of Mennonite a cappella CDs is available from the MennoMedia store. The PCUSA has never disavowed or condemned those writings. They have increased their support and funding of crisis pregnancy resolutions using additional options however. I am glad you are pleased with the new hymnal and even the option of two color choices for the cover seems quite nice. Somehow I missed this controversy .. Thanks for the heads up and comment! Thank you for sharing your new hymnal and some of the lovely songs with us I have a large collection of hymnals that go back a long way and it is nice to hear of a new one that will have some of the newer hymns as well .